With the summer nearly upon us, it could mean only one thing here… Wiener Wednesdays are back. And with our recent growth in mouths to feed, coupled with the impending retirement of our old grill, it was time to upgrade. Look at this beauty: FIVE burners, a whopping 84,000 BTUs and more than 800-square-inches of hot dog lovin’ grill area!! It will be making its debut on June 17 for our Official 2015 Wiener Wednesday kickoff. Now all we need to do is to hire an on-site chef. 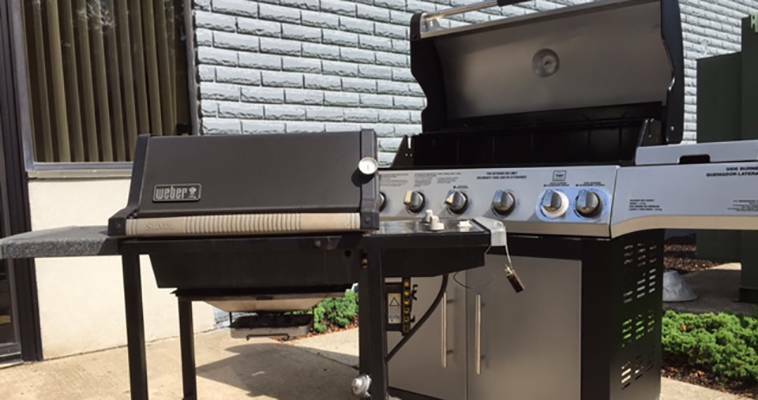 And, to the old grill, goodbye, old girl… enjoy retirement. You fed us well!